Oh, the perils of defending animals. On Mar. 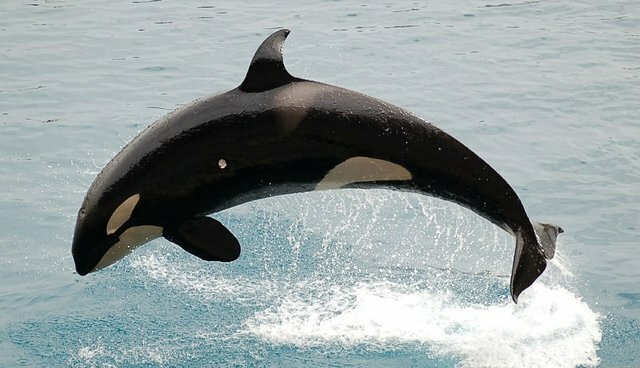 31, Ontario's Minister of Community Safety and Correctional Services, Yasir Naqvi, introduced for second reading a bill that banned the procurement, breeding, or keeping of orcas in captivity anywhere in Ontario. The one orca who is currently held captive in the province (at Marineland, a tacky aquarium-amusement park in Niagara Falls, Ontario) is exempted. So far, so good ... except for Kiska, the lone - and lonely - captive killer whale in the province. Naqvi's Liberal party has a majority government, so the bill passed second reading without trouble and will now go before committee, providing opportunity for public comment. What to do? Professional animal protectionists know that a huge impediment to pro-animal legislation is the understandable concern of politicians that, no matter how they try, it is difficult to satisfy those of us who care about the welfare of animals. Don't we want orcas banned from captivity? Of course we do. And, the bill goes further, providing for the creation of standards for the keeping of other cetaceans (whales, dolphins, and porpoises), pinnipeds (seals, sea lions, and walruses), and other marine mammals in captivity. Marineland is also thought to be the only facility housing other marine mammals for display purposes. Since there are no standards for how these animals are kept, it can be argued that any standards are better than none. Does the orca ban make sense? Why are belugas, bottlenose dolphins, and other cetacean species discriminated against? Are they not as "deserving" as orcas? They share many of the same biological and behavioral characteristics as orcas, and the Ontario government cited those very characteristics as the reason for their ban on orcas. I suspect that the focus was on orcas because the plight of the other cetaceans has not been adequately publicized. The film "Blackfish" documented the horrific conditions surrounding the capture and confinement of orcas. It is no better for other cetaceans. Bottlenose and other dolphins are often kept in aquariums and some are taken in the notorious drive-kills featured in another pivotal and informative film, "The Cove." But, so ghastly is the chasing and slaughtering of so many dolphins that the fact that some are taken for the aquarium trade has been glossed over. Also, part of the power of "Blackfish" was the way in which the aquarium industry victimized humans, specifically the trainers and handlers of orcas, who too often suffered injury and death. Belugas are far less likely or able to hurt humans, and for that, they are punished by being kept by facilities that, since "Blackfish," no longer see orcas as an attraction. And, like dolphins, beluga whales are cursed with facial anatomy that, subjectively, makes them look always happy and content. I have seen belugas, bottlenose dolphins, and other dolphins in the wild. Put simply, there is no way on Earth that aquariums can replicate the vast distances they have access to in the wild, nor the hugely complex and variable nature of the seas they inhabit. Never mind all the talk about standards that provide minimal horizontal and vertical dimensions. Comparing an aquarium tank to the world these animals have evolved to inhabit is like comparing a jail cell's interior to the rich diversity of London or San Francisco or Singapore, and saying that, because people can survive and breed in concrete cells, their needs are met by prisons. So, while not opposing the Ontario government's proposed legislation, we are not about to support it, either. We will, during the opportunity provided as it now comes before committee, attempt to convince the government that the most logical, cost-effective way to proceed would simply be to prohibit the breeding of captive cetaceans and the future acquisition of cetaceans from the wild. That would go a long way toward helping these wonderful animals, wherever they may be - and show leadership to other jurisdictions.